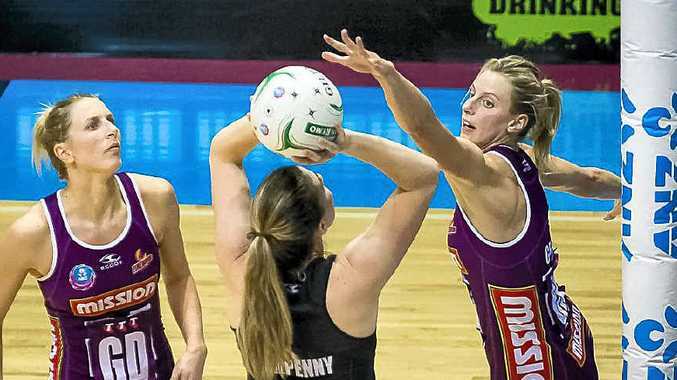 QUEENSLAND Firebirds captain and former Allora junior Laura Geitz has lauded the ability of her squad in finals netball after they progressed to another ANZ Championship grand final. The Firebirds will take on Melbourne Vixens in Sunday's grand final after downing the Waikato Bay of Plenty Magic 54-50 in Monday night's preliminary final in Brisbane. It will be the second straight decider for the Firebirds after losing last year's grand final to Adelaide. The Firebirds fell to the Vixens in the major semi-final, but Geitz knows her team can deliver when they have to after getting the job done against the Magic. netball and hopefully we do that next week in the grand final," Geitz said. Losing that major semi-final was all of the motivation the Firebirds needed on Monday night. "We wanted to redeem ourselves," Geitz said. "I had a really disappointing game and we had a lot to play for." Geitz was joined in the defensive line-up by former Warwick West State School student Clare McMeniman. The pair know each other's games perfectly after playing together for the Canberra Darters while at the AIS, for Australia in the World Youth Netball Championships in Florida and for the Firebirds in their 2011 title win. The Firebirds face the Vixens at Melbourne's Hisense Arena on Sunday in a game Warwick Netball Association secretary expects to be a tough encounter. "The Firebirds will need to be more confident than in the semi loss to Vixens. They have to believe in themselves," Bunch said.